When you have a parent or another elderly loved one in your life, a lot of your concern revolves around their safety. This is particularly true if they live alone. One big danger that the elderly face is falling. If you want to help keep your loved one safe from falls, consider the following tips on how you can improve their safety in the home and talk to us today about anti-slip floor coatings. As your loved one walks throughout their home, they might be at risk for taking a fall. While falling is not that big of a deal when you are young, the older you get, the more damage that can be done. 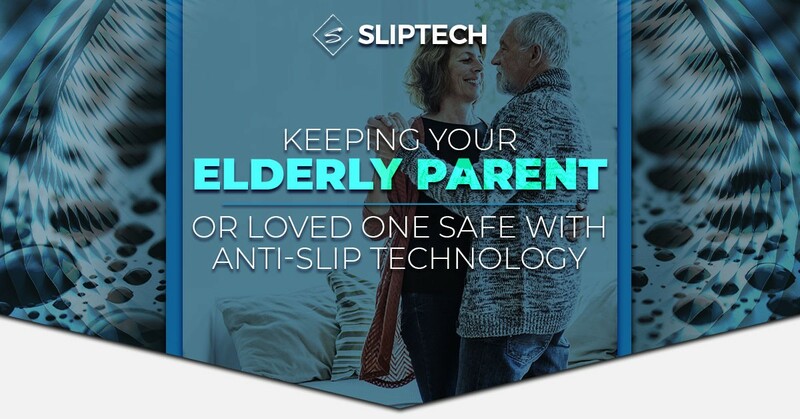 While you might not be able to constantly monitor your parent or elderly loved one, you can help improve the safety of their home by installing anti-slip floor coatings in key rooms. Focus on rooms where you know traction is the worst and were liquid spills might be common. For example, kitchens and bathrooms often pose a huge risk to the elderly due to their slick floor types and the amount of water that is often on the ground. These rooms are excellent locations to have an anti-slip floor coating installed to improve traction. Hallways, stairs, garages, and other areas where surfaces are not carpet can be excellent places to target with anti-slip floor coatings. Perhaps your loved one would benefit from a simple walker or cane in the home. While transitioning to a walking device can be a hard pill to swallow for many who do not want to admit they are aging, having a cane or walker inside the home can go a long way in preventing falls. Another leading cause of falls is due to a lack of traction underfoot. If your loved one does not wear shoes in the home, invest in a quality pair of house shoes that feature solid grip. This will help them navigate the home with better stability. This is particularly true for rooms where there is no carpet and socks can cause a fall. While your goal is to prevent falls, the reality is that no matter how many precautions you take, your loved one could still lose their footing and fall. Make sure that if they do, they have an easy way to call for help. Equip them with an easy-to-use cellphone, as well as a wearable device that provides a simple method for reaching help. Try to visit your loved one as often as possible as well to ensure they are comfortable and haven’t recently suffered from any tumbles. If you live far away, hire a home care provider to check up on your loved on intermittently. If you are interested in anti-slip floor coatings for your loved one’s home, contact our team today. We can help you determine the best areas to install this coating and we can provide you with the perfect coatings to improve traction.